It’s back-to-school season. For some, that means new backpacks, notebooks, pencils, and pens. It also means an upgraded version of Spotify Premium for Students. Now, in addition to Spotify Premium’s millions of songs and podcasts and Hulu’s hours of next-day entertainment content, student subscribers will also have access to SHOWTIME’s full suite of premium storytelling content. So whether you study to music or the sounds of silence, write essays on the difference between Hulu’s Emmy award-winning series The Handmaid’s Taleand Margaret Atwood’s novel, or unwind with SHOWTIME’s Shameless, there’s something for every student to stream. 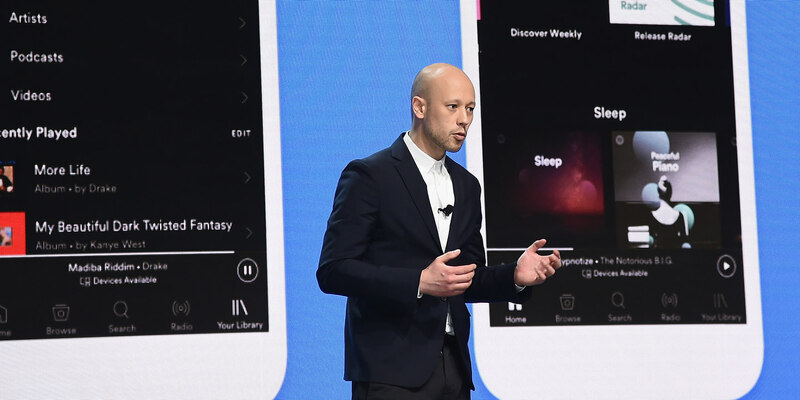 We sat down with Alex Norström, Chief Premium Business Officer, Spotify, to learn a little more about the partnership. Q: Spotify Premium already has a student plan. What’s new in this bundle? Q: What is Spotify Premium trying to achieve with this change? A: We realized that there are certain users who aren’t prepared to pay for just a music service, for a variety of reasons. We want to create a meaningful relationship with these potential users, many of whom are younger. But we also found that, when this music service, Spotify Premium, is enriched with other services, like Hulu and SHOWTIME, users are prepared and even willing to pay. Bundling, or providing multiple services in one, lets us increase the value of our Spotify Premium for Students plan beyond our core audio offering. Additionally, we are always looking for partners and opportunities that share and show our values. Working with others has shown to help drive growth, which in turn allows us to improve our margins, attract new users, and improve retention and user satisfaction of the Premium subscription. It’s good for us, and it allows us to provide unparalleled content for our users. Our current partnership with Hulu has been an overwhelming success for both of us. Originally, it was a creative way to add value back to our Premium subscribers. Now, our focus is on the long-term relationship with each subscriber. If we do the right thing, they reward us with loyalty. In turn, we innovate more for them. Q: Why should students be excited? A: Spotify Premium for Students, now with both Hulu and SHOWTIME, gives college students unprecedented, on-demand access to a complete world of music and video content, shows and film—all in one convenient package. This latest offer for U.S. students—both the millions already on Spotify Premium and those who are new—really is huge. Never before have students had this level of streaming entertainment options, at this unprecedented value, all in one package. Q: How has response to the announcement been so far? A: We’re excited to report that we have seen consistently positive responses, both internally and externally. The initial feedback has been promising, which suggests that students are really receptive to the plan. I enjoy the conversation on Twitter, where some students have called Spotify “undefeated.” It shows that we’re committed to providing them with even more content to love. It doesn’t matter if you’re already a Spotify Premium for Students user or are new to the class: sign up and start streaming Spotify Premium, Hulu, and SHOWTIME at spotify.com/student.